Founded in 2006 by multi-instrumentalist Stéphane Desbiens and lyric writer Francis Foy, this Canadian band are now onto their fifth studio album. 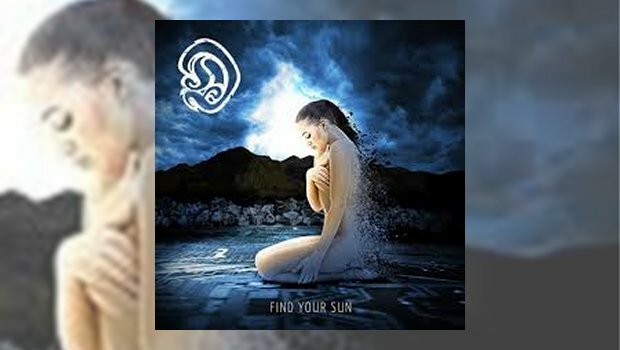 Perhaps not as well known as Rush or Saga, but Find Your Sun could, and indeed should, be the album that puts them on the map. A band that ostensibly has guitar, bass (Stéphane’s son Philippe), and drums but with the added interest of Isabelle Cormier’s violin, however keyboard fans rest easy as chums Fred Schendel from Glass Hammer and Romain Thorel from Lazuli provide more than enough dexterity on the electric ivories. The album kicks off incongruously with The End, an overtly political attack on our electees. A Floydian opening, Gilmoury guitar which is then snatched by an angry Fripp before being talked down into a CSNY finger-picked harmony section replete with pastoral flute by guest Sylvain Laberge. Rubble clearing bulldozer guitar ends the track. Most certainly a vote for the unpredictable candidate. Continuing with the ones with legislative powers, Crude Reality could have been found in Roger Waters’ notebook. Musically it has a lighthearted Supertrampian sax but the underlying seam is tenebristic, whilst Tell Me is back to the musical genre we all love with arpeggio pulses bathed in a Radox bath Mellotron which morphs into a catch your breath staccato stomp with the violin duelling with the lead guitar in a real showcase for the lady fiddler. Special mention must be made of the interplay between the bass and needle sharp drumming. Each track presents such a different landscape that they are all worthy of critique (bit of French there…). It’s night time and the most Floydian presentation so far is The Sting, in fact the Pink One’s sound engineer, Andy Jackson, has had a long collaboration with this collective. The Hammer made of Glass has influenced Life To Spare with both a synth and organ solo all crammed into the 4 minutes of prog funk, then the calming sound of a watery acoustic puts the brakes on with Be Kind, a plaintive request to maybe a lover or someone wielding a large stick? Lovely real choral vocals, courtesy of guest ensemble Chorale de Saguenay, and orchestral background pads are abundant, but still the fluid lead guitar keeps the rock rolling. The recording’s title is taken from the next two tracks. Part One is an optimistic rural smiley keyboard piece in direct contrast to the discordant hint of horror that infests the track proper – “Find Your Own Sun – DON’T USE MINE!”, it appears to say. Early It Bites-like guitar flourishes are again running alongside the marvellously played violin. A standard slice of rock AOR finishes this long player with Be Free, albeit with a superior solo. There is so much to enjoy on this album. This is exactly what progressive rock music should sound like. There should be dark corridors where the lighting is intermittent – bulbs that are very bright and clear, others whose filaments are on the edge of dying – jump up from behind the sofa ‘BOO!’s, and quietly contemplative chats with your psychiatrist. The lack of cohesion is a joy and consistency with quality and not the nature of the music certainly keeps the listener’s interest. If A,B, and C didn’t live up to expectations then D Project has definitely spliced the correct proportions of DNA.